Believe it or not, I find a fair amount of time to read while on the road. Louisa does 99% of the driving (she’s one of those people who likes driving) and if I’m not editing video or planning our itinerary for the next park, I’m normally reading in the passenger seat. Interesting books pop up in National Parks gift stores, or there’s a cool used bookstore across the street from our motel, and I end up buying paperbacks even though I bought a Kindle so I wouldn’t drag around 50 books everywhere. So here are three interesting books I read during the most recent leg of the Great American Parks Trip! 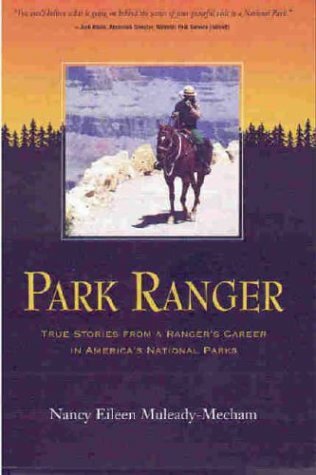 Park Ranger: True Stories From an Ranger’s Career in America’s National Parks by Nancy Eileen Muleady-Mecham. Have you ever wondered what NPS rangers actually do? Have you ever wondered about the hardest parts of their jobs, the rescues and emergencies? Or what happens to someone who gets super drunk and disorderly on National Park property 100 miles from the nearest police station? The author is a paramedic and registered nurse, but she doesn’t only deal with medical emergencies. 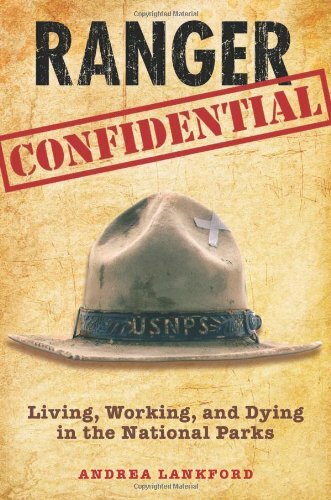 Ranger Confidential: Living, Working, and Dying in the National Parks, by Andrea Lankeford. This was one of the more entertaining books I’ve read in a while. Unlike the above, which focuses on the author’s career, this book gathers stories from a variety of rangers at a variety of parks. It’s very well-written and covers a lot of ground, from chaperoning sea turtles on their march to the water, to rappelling down the side of the Grand Canyon to retrieve an unfortunate tourist’s body. 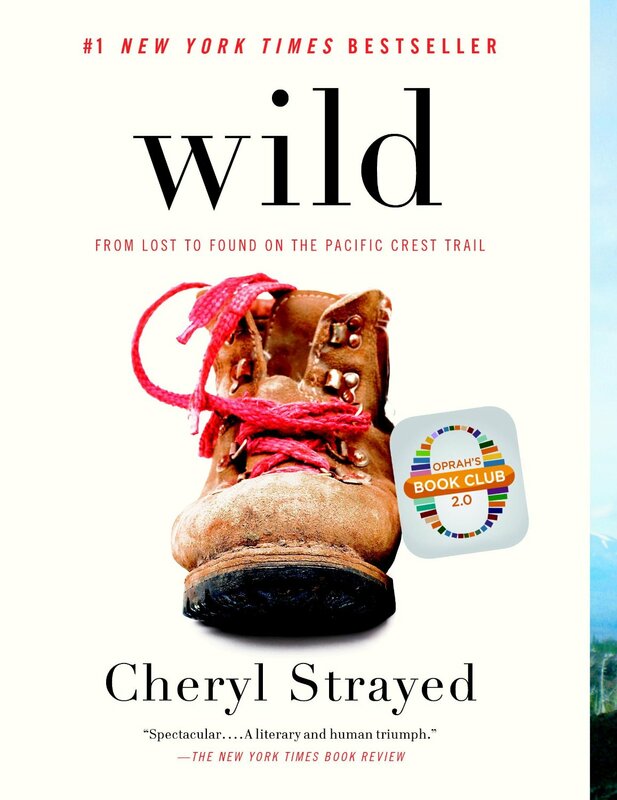 Wild: From Lost to Found on the Pacific Crest Trail by Cheryl Strayed: “But DA,” I hear you say, “that book isn’t about National Parks! Sure, the PCT passes through 7 parks, but the book is mostly about her struggles with life and hiking.” I know. But it’s a great book. The author is not a serious hiker or camper, and starts out with a pack that is way too heavy. Along the way, she loses her shoes and learns not only how to camp, but also meets people who show her lessons about life and hiking. So there they are, three great books related to the National Parks that I picked up and enjoyed on the road. “Graphic the Valley” by Peter Brown Hoffmeister comes in 4th, it was recommended by a co-worker, and it was interesting, but I’m not sure I would recommend it because the writing style might be difficult for some. Still, it’s worth checking out if your interest is piqued by a boy growing up in Yosemite National Park, unknown to the park rangers, and dealing with the development of his home. It also mentions the subculture of rock climbers and parks people. Have you read any good books about the National Parks, rangers, or camping/hiking in general? Leave us a comment! This entry was posted in DA Blog, Uncategorized and tagged books, great american parks trip, national parks, national parks books, national parks rangers, park rangers by thegreatamericanparkstrip. Bookmark the permalink. Death In Yellowstone, and Death in the Grand Canyon are interesting reads and not gory. For fiction there is a retired NP ranger by the name of Nevada Barr, who writes “who done its” in the different parks. Wolf Wars– Hank Fischer– Restoration of the wolves in Yellowstone. Beyond the Hundredth Meridian by Wallace Stanger, about John Wesley Powell and the West, and Take Down the Flag & Feed the Horses, about the staff and workers at Yellowstone and about the fires in 1988. Adding those all to my list- in this post I forgot to add the book I got at the Saguaro bookstore with you, The Secret Life of Water! I’m almost done reading it so I’ll have to make a part 2 of this list, with some of the suggestions people have commented on this post (: I definitely need to read about the wolves in Yellowstone before we visit there! I haven’t read this one, but it came recommended… A Desert Solitaire, by Edward Abbey. He was a Park Ranger living in Arches during the 1950s; his views on development in the park and his experience in what was then a barely visited area. You’ll have you post about it if you read it. I had the opportunity to hear Cheryl Strayed speak about her book and her experience last winter. She is quite funny and personable. I haven’t read it yet, but it is on my (always too long) list of must reads. I’ll have to add Abbey to my list. I think in one of his books he covers Everett Ruess, the kid who got lost and disappeared in the canyons in the 30s, but since reading a whole book on Ruess I got kind of burned out. Desert Solitaire sounds interesting, though! That sounds awesome, I’ll have to add it to my list X3 My dad bought a book about people who have died at the Grand Canyon and ‘sad-funny’ is an excellent word for it….